These 10 oz. silver ingots are manufactured by Sunshine Mint USA company. 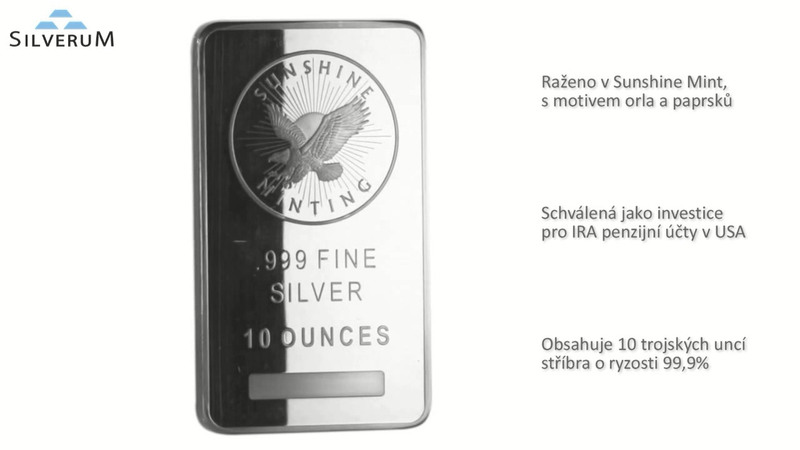 On the obverse side is the manufacturer''s logo with the inscription "SUNSHINE MINTING" sign of quality silver "FINE SILVER .999" and weight "10 OUNCES". On the reverse side is inclined in alternating strips logo and name of the manufacturer of silver ingots.